Priscilla Tran comes to us with an extensive background in community development, marketing, and case management, spanning 11 years. With her heart rooted in service, she has served as Division Director of March of Dimes in the state of Nevada and Youth Market Director of the American Heart Association. She served as Clinical Outreach Supervisor of Center For Discovery in Northern California for many years, where she had the honor of meeting Connie and Elizabeth. Their passion for their work and spreading the message of The Body Positive was infectious, and she was hooked! 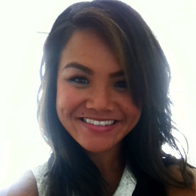 Priscilla currently serves as Treatment Placement Specialist for the Recovery Division of Acadia Healthcare. Every day she speaks to individuals and their loved ones who are suffering from self-hatred. She hopes through her work she can be a conduit to a sliver of joy and hope in these people’s lives. Priscilla is honored to join The Body Positive board, where she will use her marketing expertise to help the organization continue to expand their reach and grow their programs.